Thanks to each and every one of you for input on where to start first with my new home. Your ideas really solidified what is important and what direction I should take. One of the comments received on Facebook was “trust your instincts”. My instincts are telling me to SLOW down and enjoy the process. 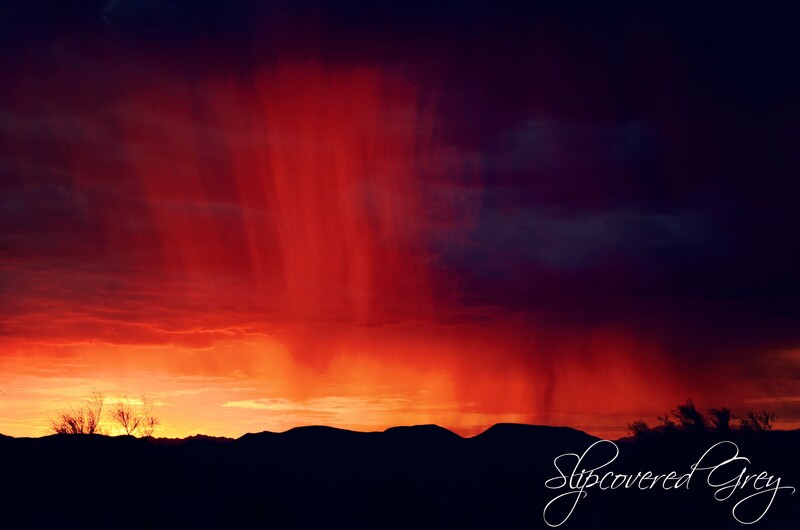 Do not rush or make any major decisions until I get my feet wet in Arizona. the interior will start with a fresh coat of paint everywhere. 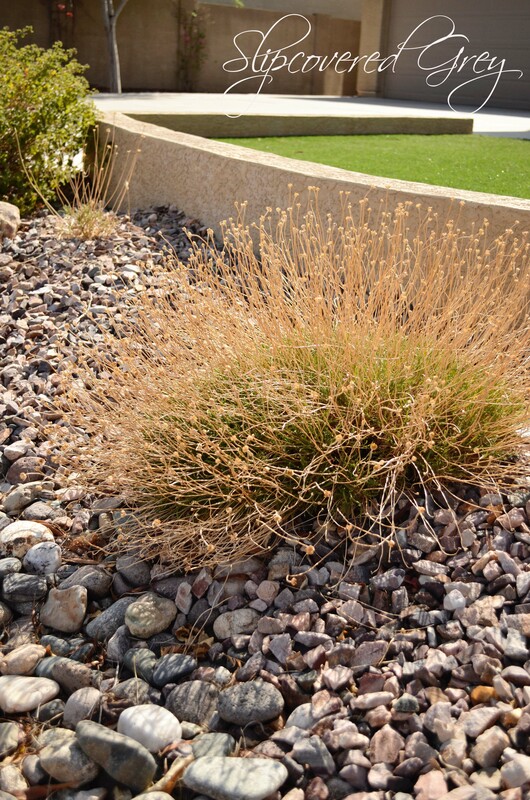 exterior landscape and create nice curb appeal. 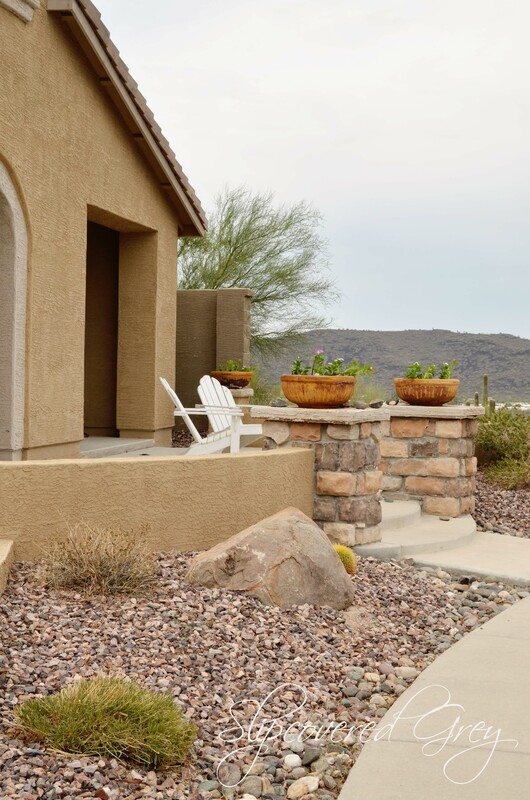 A little maintenance and planting is always a must to make a house feel like home. 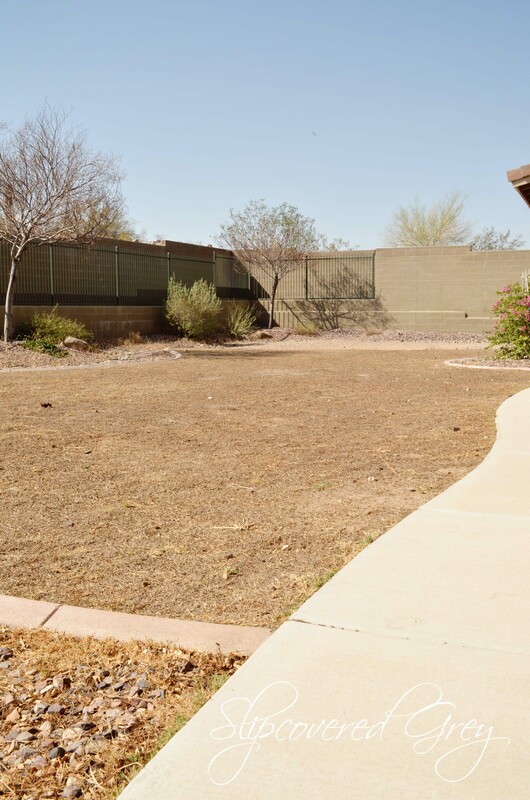 This short sale was a home full of neglect. Some trees have died and plants are holding on needing water and TLC. When I visited the home for the first time this is what the backyard looked like. 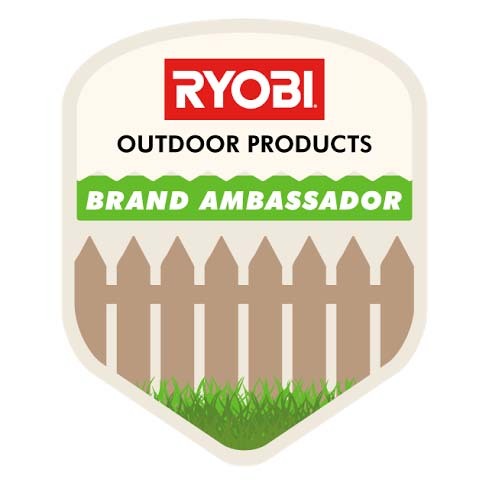 Being an Ambassador for Ryobi Outdoors is super exciting as I get the opportunity to try some sweet outdoor power tools. 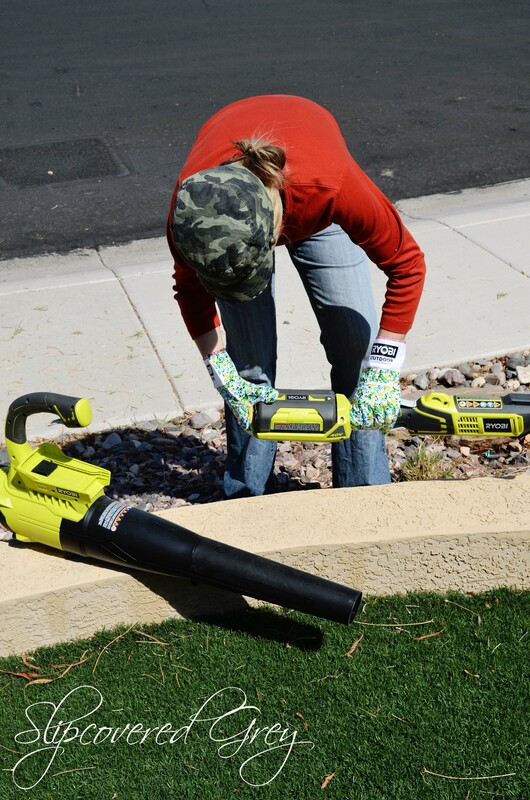 It’s easy to tackle a big job with the right outdoor tools. 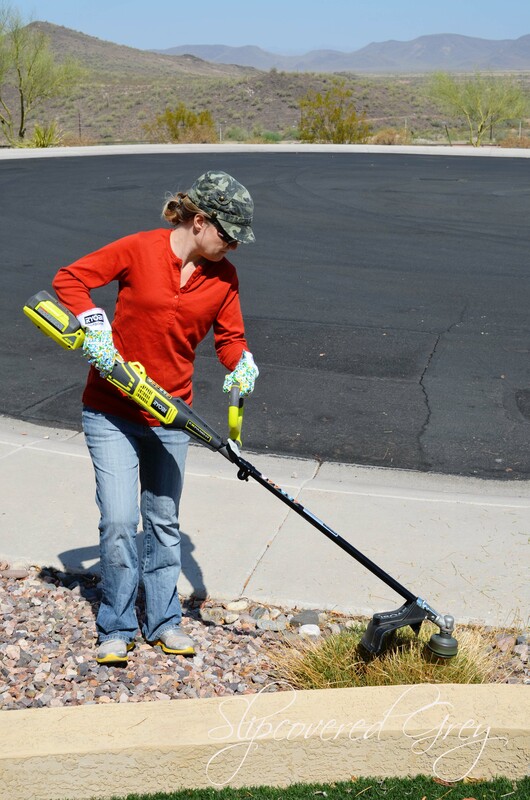 I was looking forward to trim everything with my 40V X Expand-It String Trimmer. 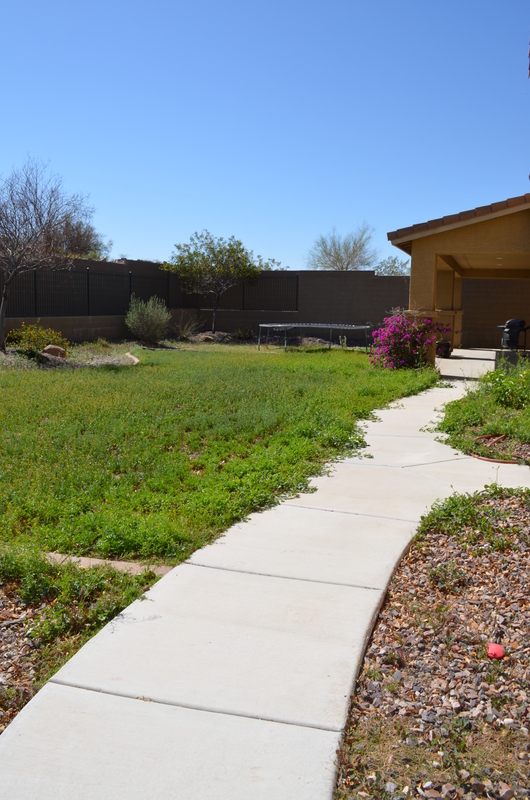 When I arrived two months later, the yard looked like this. 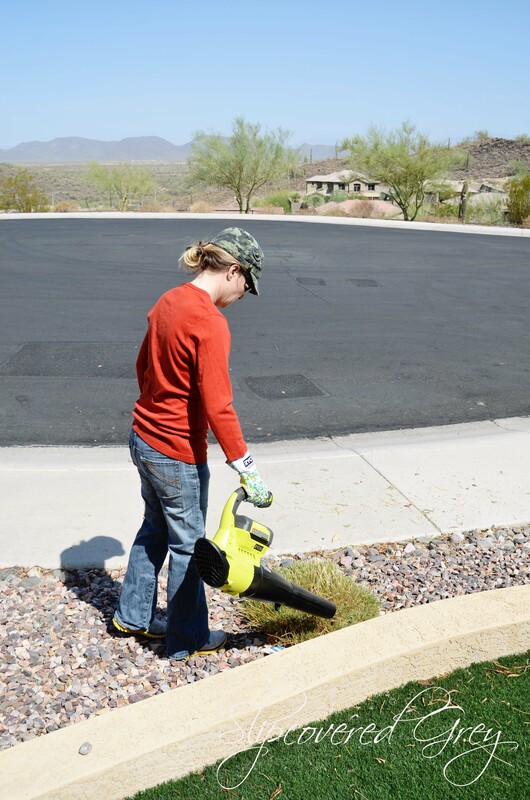 What happened to all of those green weeds? Apparently this is what the desert sun does in the summer. so I managed to find a few things to do. 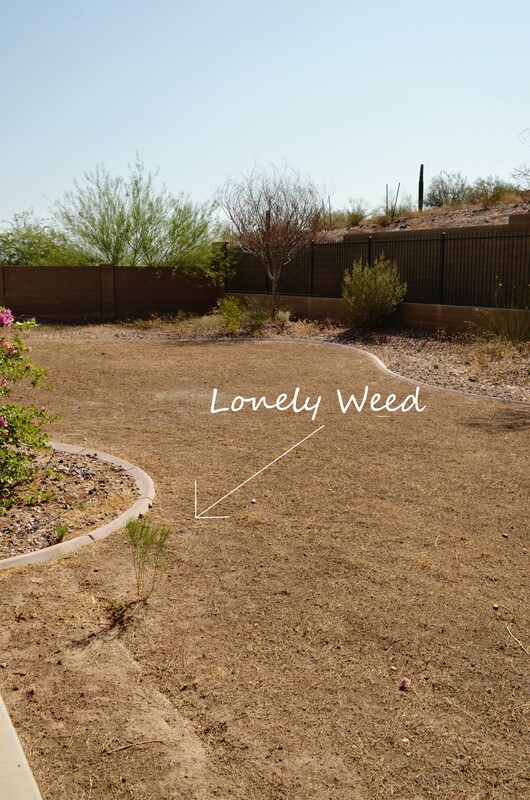 See this lonely weed left in the backyard? It felt really good to chop that baby down in less than two seconds. Moving to the front of the yard, I found a grassy plant in need of trimming. I will call him a “grassy plant“. Landscapes in Arizona, at least in my area, are mostly rock. 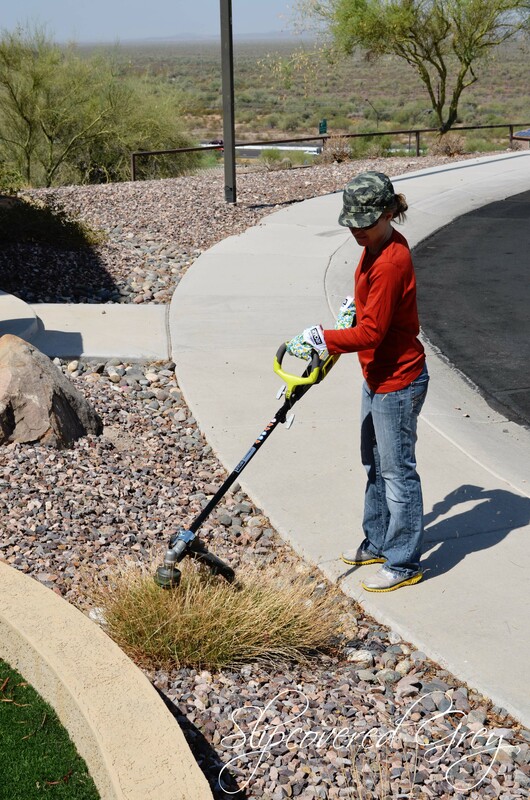 String trimmers are not recommended to be used near rock. one catapult into my face or a window nearby. Before I knew it, I was done! 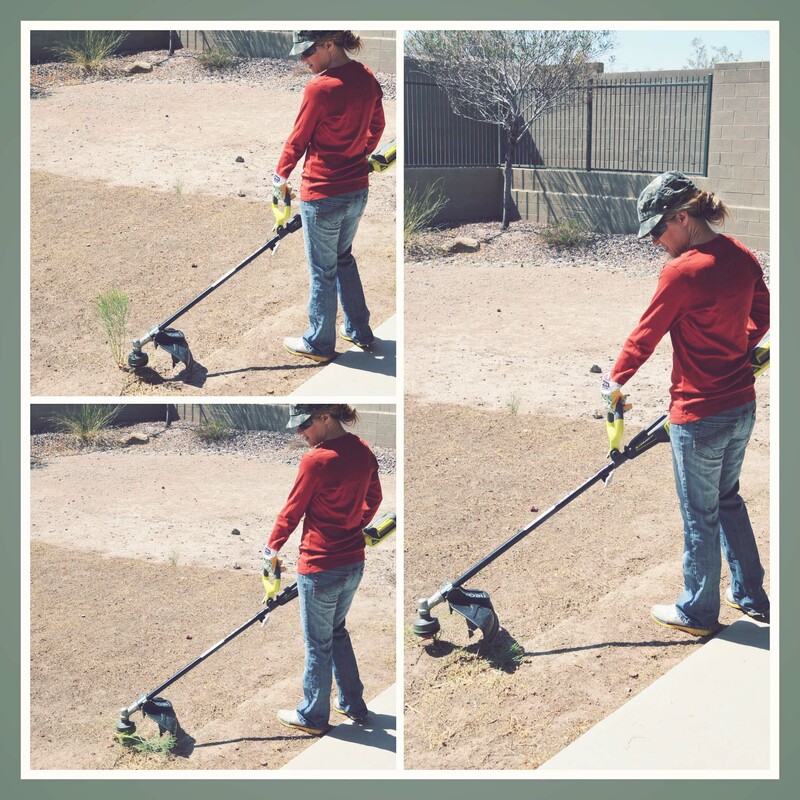 This 40V X Expand-It String Trimmer is great because the trimmer attachment can easily be removed and replaced with several attachments*. After completing this task I had a mess to clean up. and in no time the area was free and clear of debris. I love the battery power (just like gas). The fact that I can use this battery with all of the 40V outdoor tools is genius. Flexibility and saving time are a necessity in my busy life. helped me plant the planters on the front patio. 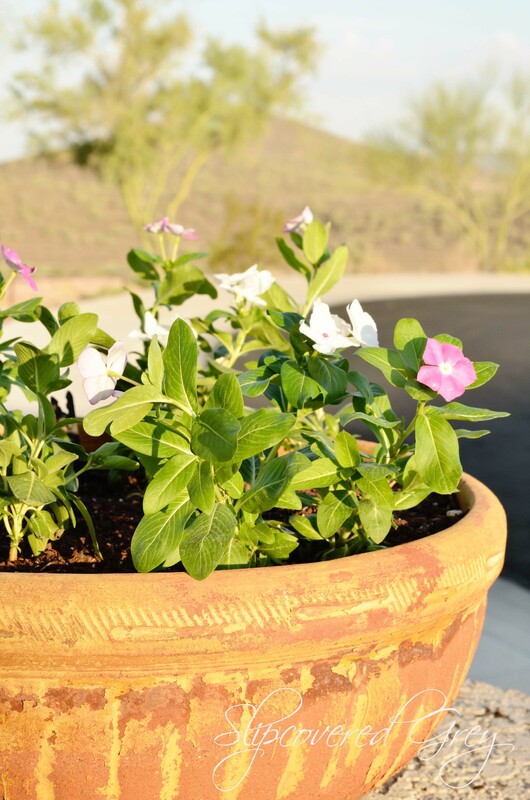 Seeing the sunrise is much sweeter reflecting off these pretty flowers. Now my house looks more like a home. Angie, you have an adventure in front of you! I know you and your hubby will turn this home into a treasure! It is already looking better! What a fun piece of equipment. 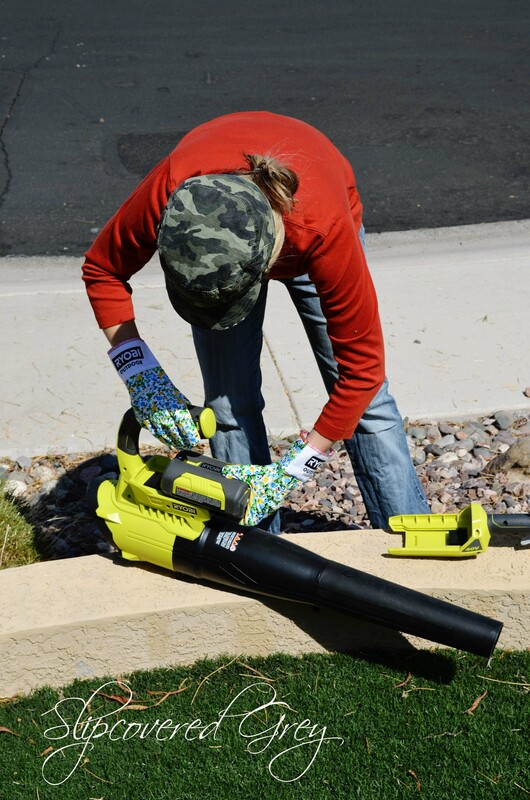 We have been buying Ryobi all in one pieces and just love them! I’m such a fan of their products! Great to see you in my email! I can’t wait to see more of your home!